This shell-carved cabriole leg with scrolled lapets and husk-trails features on an Irish George II side table (A. Coleridge and D. Fitz-Gerald 'Eighteenth Century Irish Furniture, A Provincial Manifestation', Apollo, October 1966, p. 280, fig. 9). 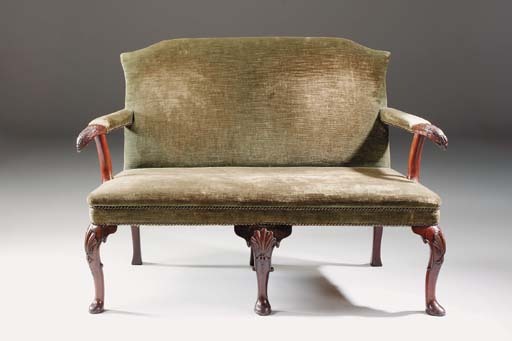 A very similar sofa with eagle-head terminals, was sold anonymously, Christie's New York, 22 October 1988, lot 246.